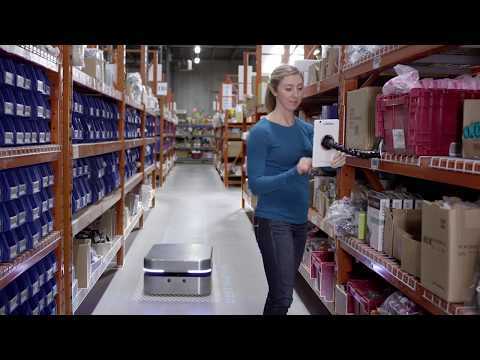 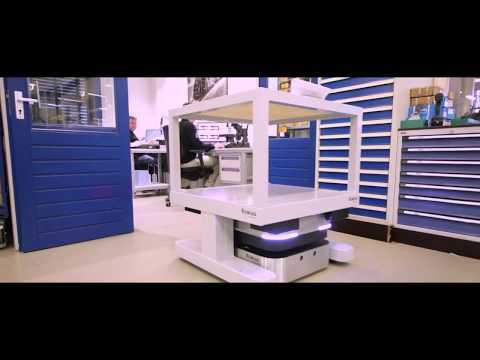 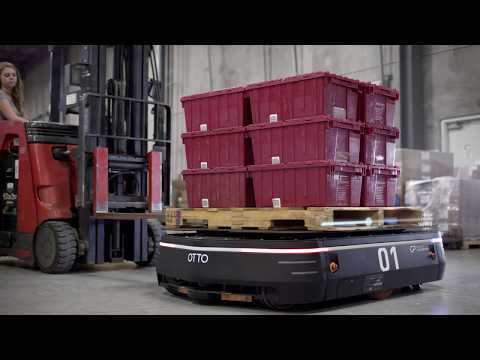 OTTO is an autonomous mobile robot designed to transport items in factories and warehouses. 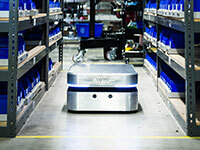 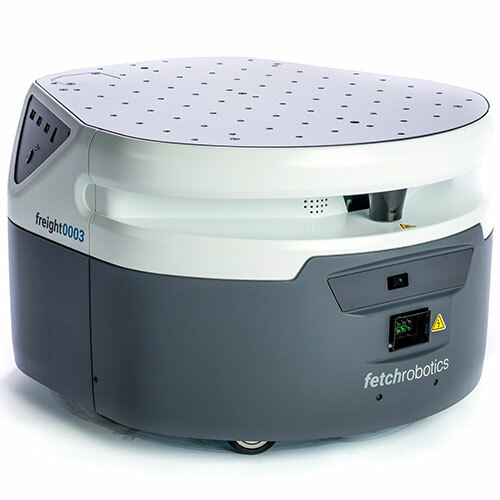 It can navigate safely in complex environments to bring raw materials to assembly lines, carry heavy bins, and move materials between processes. 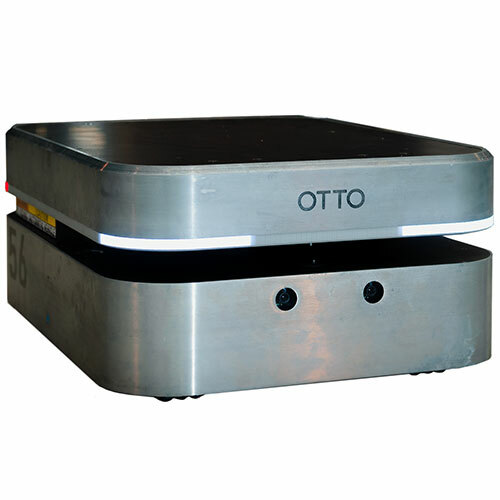 OTTO 1500 can be equipped with a conveyer belt. OTTO 100 at work in a distribution center. 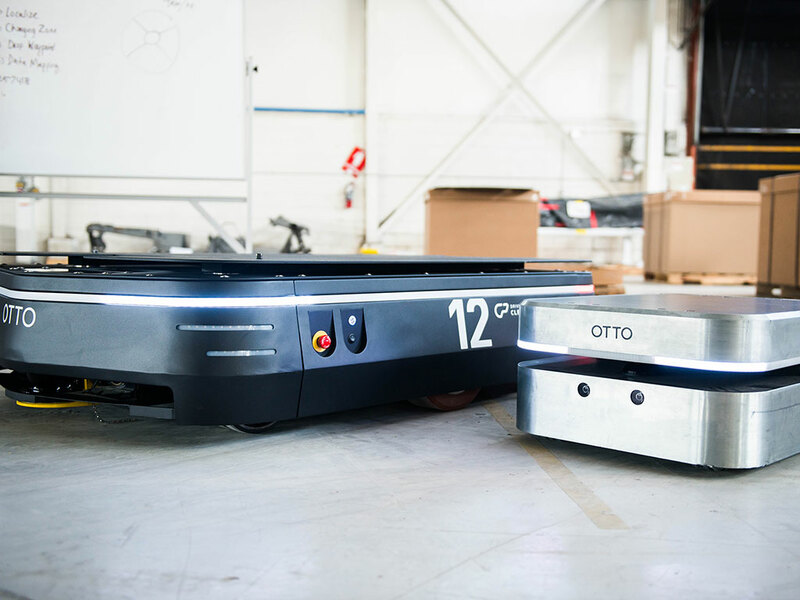 OTTO 1500 and 100 size comparison. 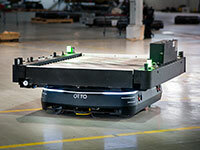 A self-driving vehicle for factories. 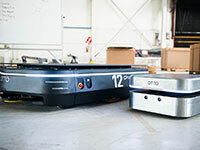 OTTO robots at GE Healthcare. 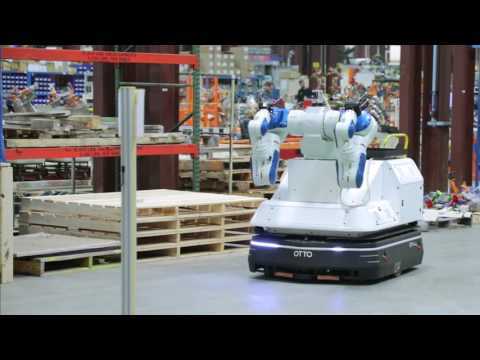 OTTO 1500 equipped with a dual-arm manipulator. A team of OTTO robots can run non-stop 24/7 by using "opportunity charging," which means they take turns docking and charging throughout the day when they don't have a task assigned. 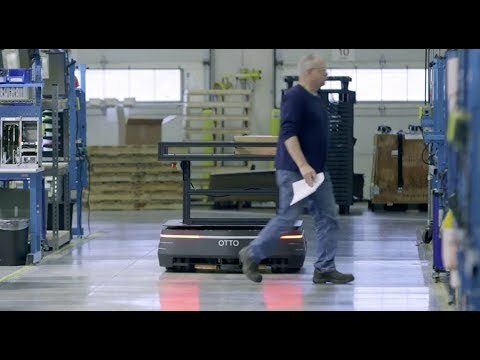 OTTO uses similar technology as self-driving cars to navigate through complex warehouse and industrial settings. Two models: OTTO 1OO is a small, powerful robot designed to move small parts, carts, and bins up to 100 kg; OTTO 15OO is a heavy duty robot designed to move pallets, racks, and large loads up to 1500 kg. 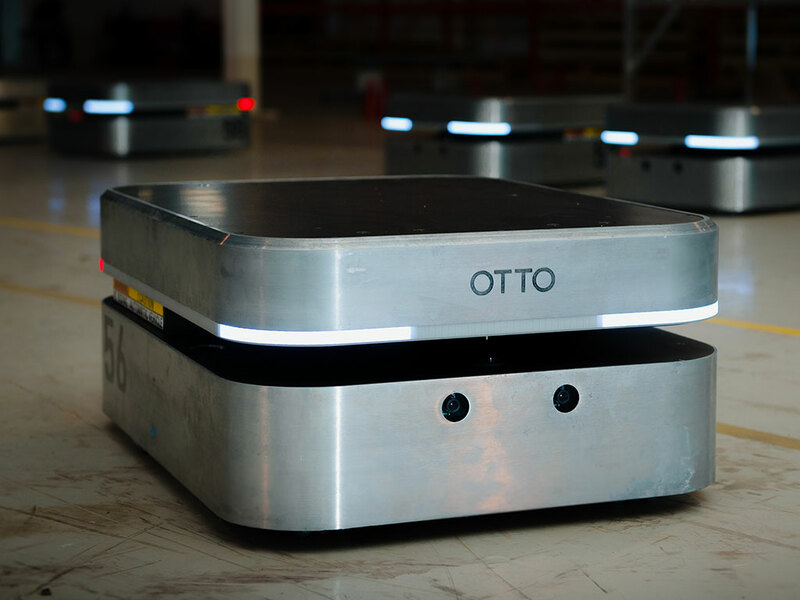 Equipped with advanced sensors and AI to react and avoid obstacles (including people and equipment). 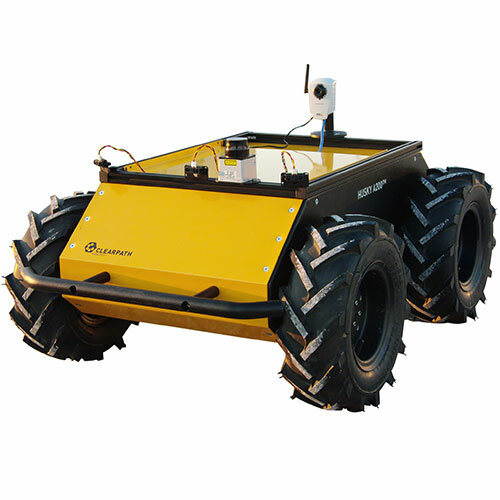 Autonomous operation does not require fixed infrastructure (no beacons, magnetic tape, or pre-defined laser paths). 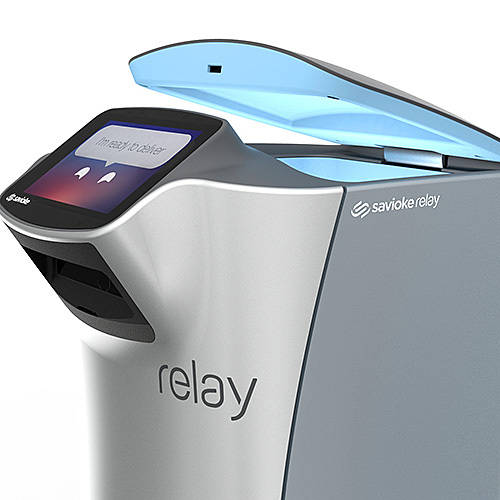 Robust and safe operation. 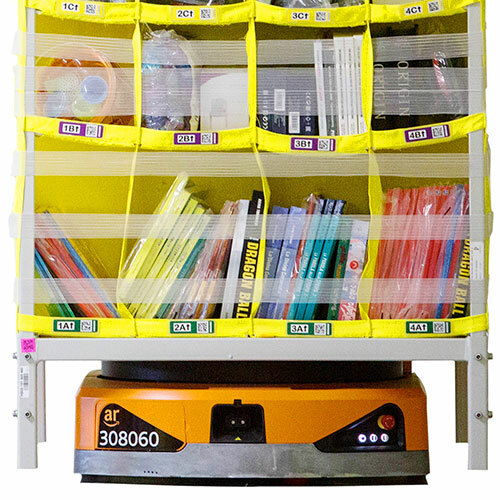 Emergency stop button. 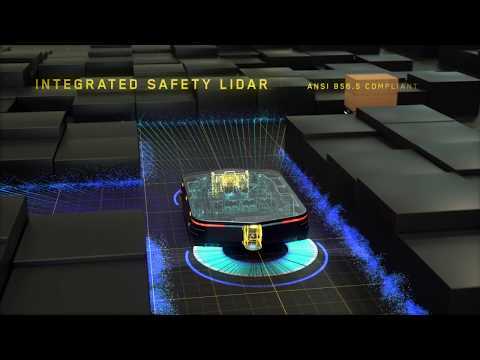 Bright, visually appealing 360° LED lighting.